Haley Rae Martin Mural Project 2017! Haley Rae Martin Mural 20016! 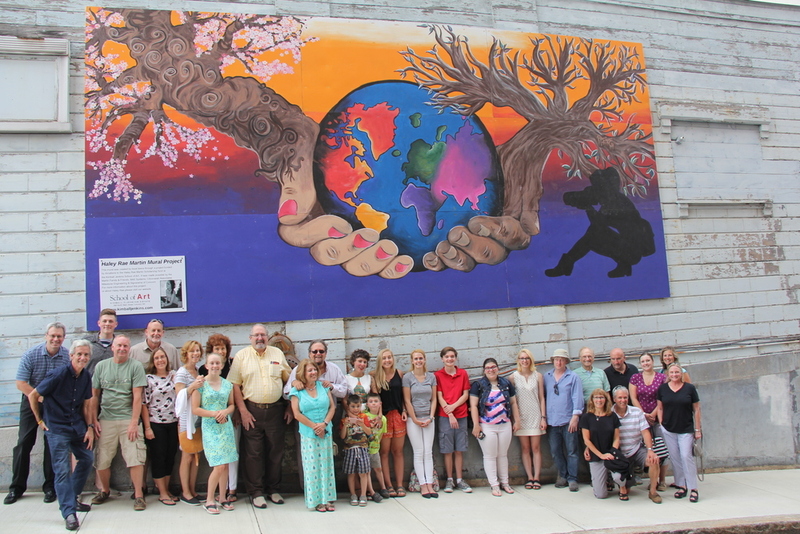 This mural was created by local teens through a project funded by donations to the Haley Rae Martin Scholarship fund at the Kimball Jenkins School of Art. It was made possible by the Martin Family, BAE Systems, Ciborowski Associates Milestone Engineering & Signarama of Concord. 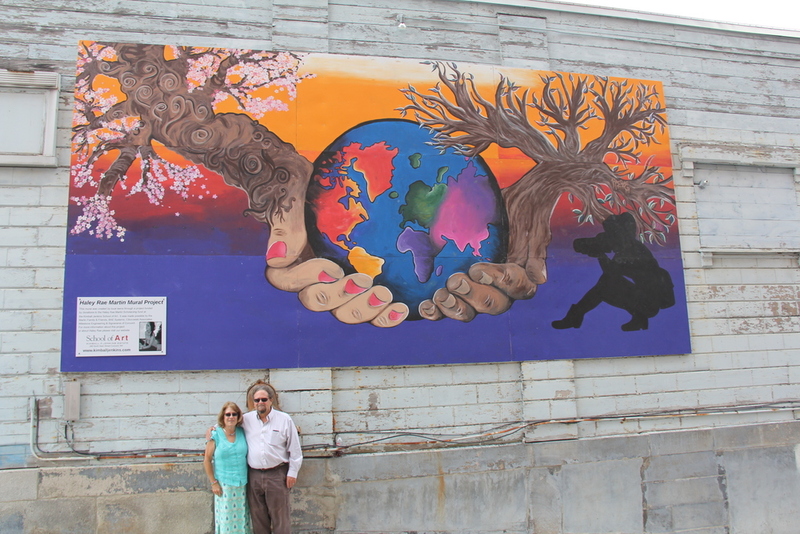 The mural proposed is focused primarily on the themes of nature and community. 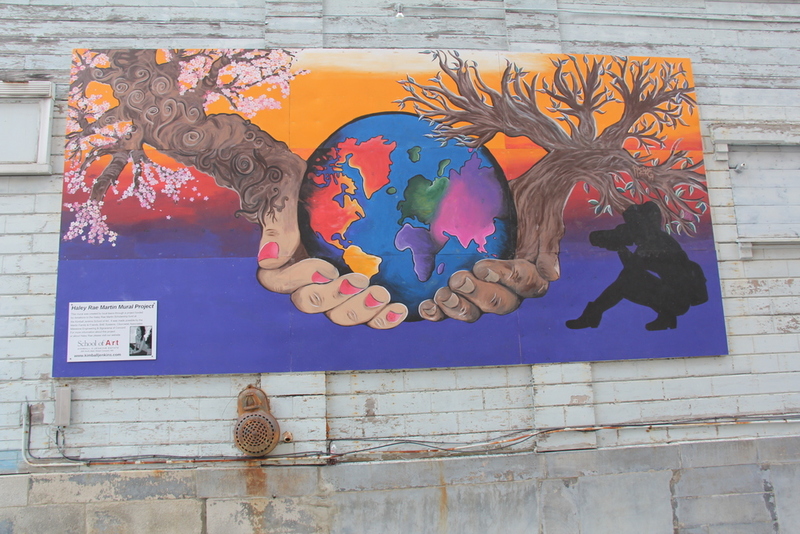 The Earth being held by hands is meant to show how different communities come together to create a whole picture. Concord is a small community and we wanted to show community on the largest possible scale, our Earth. The next element present in the mural is the strong impact nature has on a community. The arms holding the earth turn into trees also representing growth. The trees on each side are both abstract and realistic, showing the way that both creativity and logic hold the Earth peacefully. A silhouette of Haley is seen on the right side taking a picture of this perfect world.